My mother was born in the middle of a gun battle. A cold January night at the height of the Irish Civil War; the republican knives forged in the furnace of the Easter Rising and dipped in the blood of Michael Collins himself. According to family legend, Collins played his part in keeping my grandparents alive. My grandfather Reginald Cookson had returned from the trenches of the Somme in October 1916 with one eye fewer than when he had set out. His reward once he had recovered sufficiently from his wounds was a posting to Dublin. 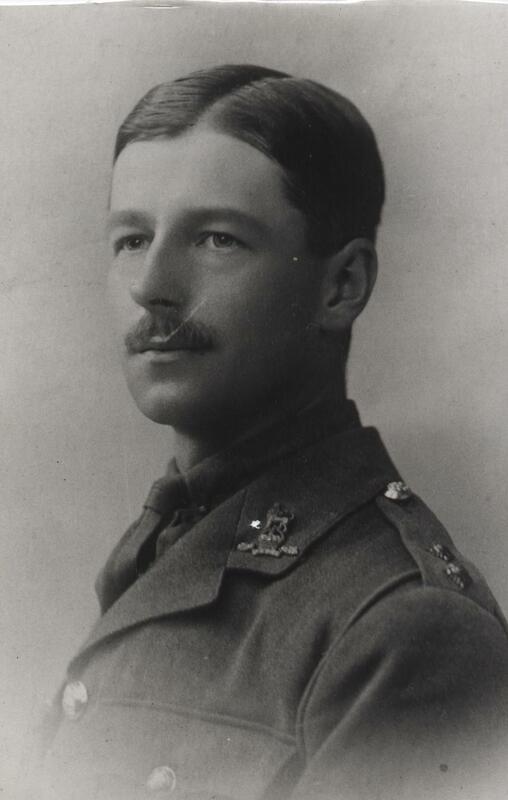 Second-lieutenant in the Royal West Kents when he was machine gunned in the heavy turnip fields of Warlencourt, he was now a Lieutenant in the Machine Gun Corps. At the end of the First World War, he decided to stay in Dublin and train as a doctor at the Royal College of Surgeons. The wedding photographs of Reginald and his bride Dorothea Glen in October 1919 show him still in uniform. Undoubtedly he remained close to the army world. He would have heard about the appalling massacre at Croke Park in 1920 but he played no part. His life now centred on learning how to save lives rather than take them. For the republicans this was a paradox. Another was his conversion to Catholicism, along with Dorothea, not long after they were married. This didn’t pose too many problems on Reginald’s English side of the family but for Dorothea it was a crisis. Her father was the Church of Ireland vicar in Pomeroy, a protestant outpost in the largely Catholic county of Tyrone. The family wasn’t impressed although the fact that her sister Eileen was already married to RM Gwynn may have played a part in this tale. Gwynn was a professor and future vice-provost of Trinity College, Dublin. And he was also key in setting up the Irish Citizen Army which would make their stand at the GPO at Easter 1916. On the morning of 21 November, 1920 came the purge, as 14 British officers, suspected by the republicans of being intelligence or spies, were taken out in one swoop across the city. The week before, Reginald and Dorothea had left their rented address in Merrion Square. It may have saved their lives. 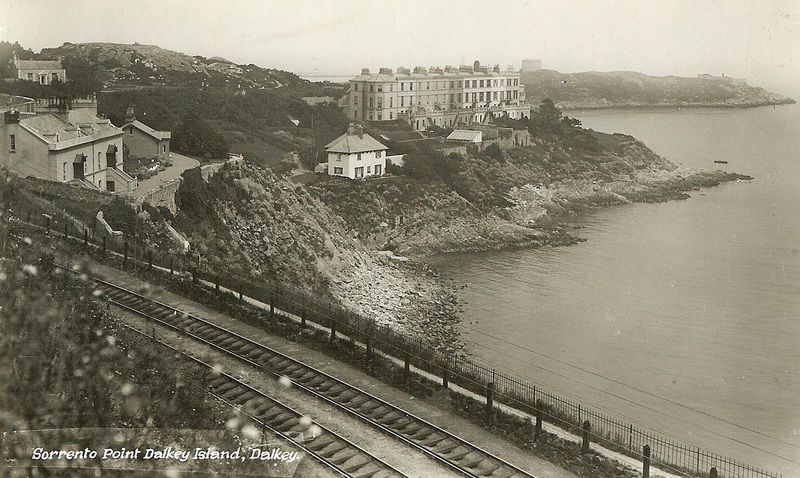 He had found a residence in Dalkey, just outside Dublin; a handsome storied house which looked out across the Irish Sea. These days it is a much-sought after address, the preserve of rock stars and racing drivers. My grandparents moved in to 6 Sorrento Terrace (left). “It was all rather beastly,” said Veronica many years later as she recounted the tales told to her by Reginald and Dorothea. “There would be this rat-a-tat-tat on the door and then they would shoot through the letter box. It was a lousy trick. Fortunately they never hit anybody. They were rotten shots. For Reginald, this was beyond the pale. 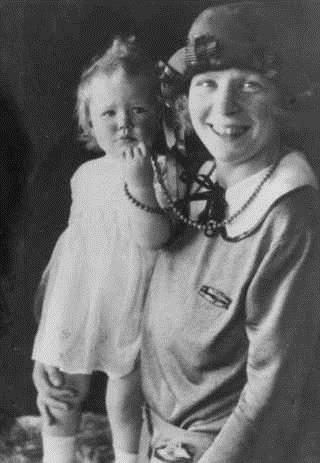 Since getting married, they had already had one child Mary, born in 1921, and Dorothea was now expecting number two. And so Reginald made inquiries. As a young doctor he would often be summoned to make calls in the villages of County Dublin. He surreptitiously asked his patients if they knew how he could get a message to Michael Collins whom he trusted more than Eamonn de Valera. It seems somebody whispered an address in his ear. Perhaps it was a patient, “Docker” Mullins maybe – that was what we were always led to believe – or perhaps it was Gwynn, the cultured Trinity man with the ear of Collins. So, one Sunday morning after Mass he put on his bicycle clips and pedalled out to the Dublin mountains. There is no note of exactly where he went that day or how long it took him, but he kept on peddling, kept on climbing until he reached a certain whitewashed house. More of a cottage, really. The doors were closed, the windows shuttered, there was no smoke edging out of the chimney. He wondered first if he had got the right house and then if his patient had set him up for an ambush. He became concerned and banged on the door. There was no answer. He banged again, this time harder. Again, there was no response. Becoming increasingly concerned, he hammered the door with his fist one last time. It was locked and bolted. He bent down and put on his clips and then made for his bike. As he was climbing on to the saddle, a shutter in an upstairs window creaked open and an elderly woman pushed her nose through. He couldn’t make her out as she had a shawl drawn over her head. “What is it you’re after with all that banging?” she shouted down. He hesitated as another window opened just a couple of inches. He couldn’t see a face but later he told Veronica that he thought he saw the barrel of a rifle. He took a breath and turned back to the old woman. A pause as the old lady’s nose disappeared for a moment. It was frustrating but Reginald wasn’t prepared to leave it at that. He hadn’t ridden all morning up into the mountains for nothing. His young family was at risk. Another pause as the old lady backed away again from the window into the shadows of the upstairs room. Reginald began to weigh up his options once more, not just for the next five minutes but for the next five years; maybe longer. With thumb and forefinger he gently smoothed his moustache, felt rising stubble on his chin. To stay in Ireland, where Dorothea felt most at home, or take off for England? It was undoubtedly safer in England and there was also more chance he could land a good practice. His thoughts, though, were interrupted as the old woman appeared again. Reginald told his story. Short and to the point. Yes, he had served with the British in the Somme, he explained, but that was over. He had had enough of war. He was a student doctor and wanted to help people, all people. He explained about his conversion to Catholicism, his young family, the coffin and the gunshots through the letter box. As he called out the Dalkey address, he noticed the second window, the one where he thought he had seen a gun, close. The woman looked down on him. And with that the window closed. Reginald whispered thanks and this time climbed on to his bike and began to thread his way through the mountains, down the lanes and back to Dalkey. Had there been any point to the exercise? Would Collins get the message? And even if he did, what could he or would he do? Who knows if the woman got the message to Collins himself; perhaps it was the Big Fella up there at the second window listening first-hand to Reginald’s story. For sure, though, she got the message to someone with influence because from that night on, there was a guard posted on the gate of 6 Sorrento Terrace. He and Reginald spoke about the weather and the Gaelic Football but never directly about why the man was always close to the gate. Reginald had it on good information, though, that he was one of Collins’ men. There were no more shootings through the letter box or sinister little coffins; young Dr Cookson was allowed to set about his practice in peace. Except on the night of January 10, 1923. Collins was dead by then; in favour of the peace treaty with London, he had been assassinated by fellow Irishmen in County Cork just a few months earlier. 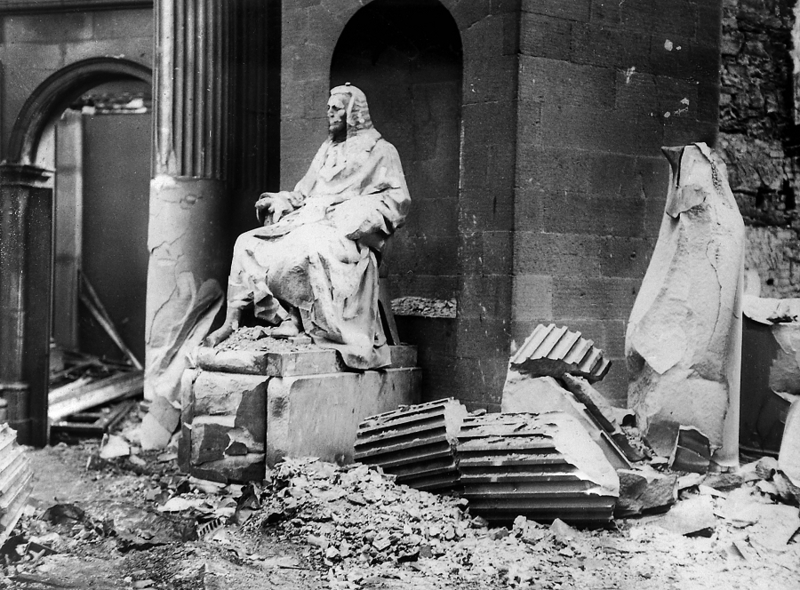 The Four Courts of Dublin lay in rubble. Meanwhile, Dorothea was in labour; Reginald sent out for the midwife and then rolled up his sleeves. He was a doctor after all. I was always sceptical about this story because as the historian John Dorney points out, the nearest recorded skirmish to this date came over a week later on January 19 when a small IRA Second Dublin Brigade Column, five men led by Paddy O’Brennan and William Meaghan, attacked a National Army post at Dalkey Railway station. Nothing official for January 10 or 11 so the eyebrow was certainly arched until I came across what might be corroborative evidence in the pages of Oliver St John Gogarty, another medical man who had, incidentally, performed the autopsy on his friend Michael Collins. Gogarty describes how one night when he was in Dalkey, as battle broke out, he was lured to a car and kidnapped by anti-treaty forces. That night was January 10. Again dipping into family folklore, the noise of gunfire on Sorrento Terrace got so tiresome that the midwife took matters into her own hands, throwing open the front door and marching down the path to the gate. “Would you ever stop all of that,” she shouted to both sets of guns, each perched behind a wall. The guns fell silent, the battle moved on; the baby was born. My mother. Born in a gunfight. Very sorry to hear about your mum. I don’t think I ever met her but she must have been a remarkable woman. My condolences. Thanks Henry. she was indeed quite a character. But as you represent Everyman in this context, I have amended the copy to conform to the dull standard Oxford fake-spelling. Barney what a truly remarkable story, brought me out in goose bumps! Sorry to hear of your loss, Barney. I am lucky to have met your mother (briefly and in dreadful circumstances notwithstanding) and I love this account of her birth. What bravery!